Julie has worked in marketing for the past five years helping to manage recruiting projects. This includes conducting interviews, closing leads, coordinating a high volume of emails and calendar entries, responding to emails, and sending calendar invitations for a variety of market research clients. She has also worked on various market research projects. 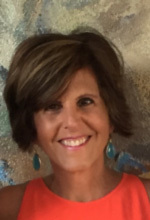 Julie has more than 20 years experience in the sales, customer service, marketing, health and wellness, and education fields; working for high tech companies as well as small, privately owned businesses. As an Operations Manager for ThinkResults Marketing, Julie is responsible for tasks across multiple projects including project management, competitive analysis, and research. She has a B.S in Business Administration with a concentration in Human Resources from San Jose State.